Zombies. Highwaymen. Post-apocalyptic rockers. Plague. Time travel. Death. And Hot Pockets. Welcome to The End: A Collective. 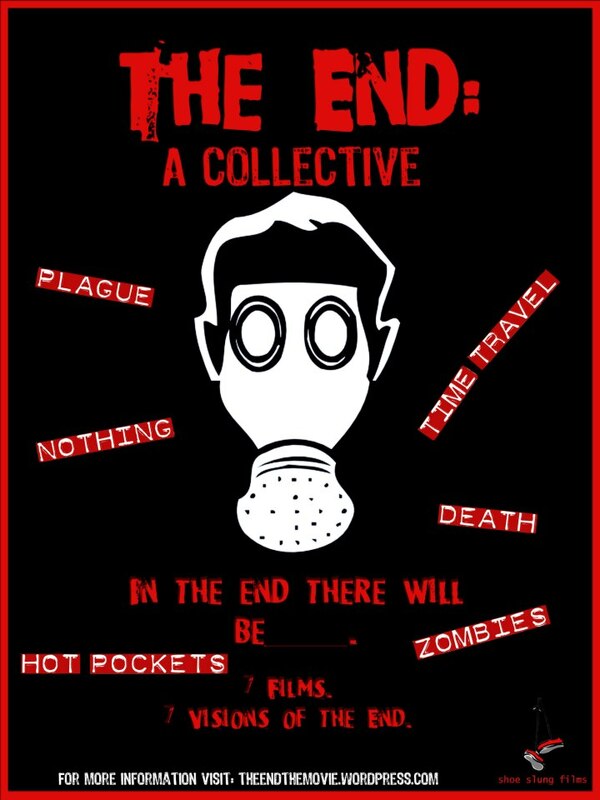 The End is an apocalyptic anthology by 5 different writers and 7 directors. It is a collection of 8 films about different elements of the end of the world, tied together into a single feature film.